Primarily for outdoor use against all inclement weather conditions. Series comes in a 4 or 6 dog unit with different cargo configurations for each design. Watertight construction to protect your working dogs from heavy rain or snow storms. 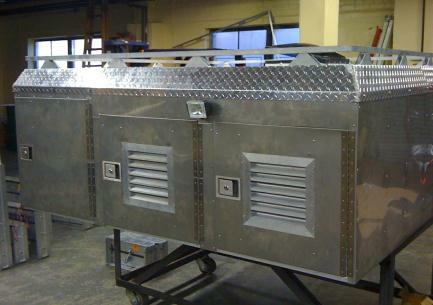 Roof is constructed of diamond plate tread with a aluminum boat/cargo rack. We use high quality insulation inside the roof and walls of our crates. Our patent pending ventilation design creates the best environment for your working dogs' needs. This series is mounted on a trailer provided by MBF Crates. Trailer registration will be transfered at the completion of the sale. Exhaust fan with rain sensor comes standard on this design. This series also can be mounted with a AC unit. Please ask one of our reps about the AC option if interested. 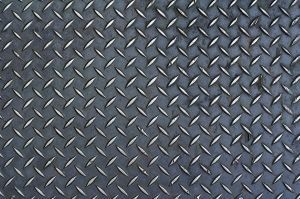 Stainless steel or aluminum construction. For more information on the Sportsman Series please click on the link below.